Summernats returns this weekend to the nation’s capital. Photo: Jack Mohr. If you are looking for ways to entertain the family this weekend away from the scorching summer sun, Region Media has got you covered with a list of what’s happening in Canberra and the surrounding region. From watching movies on the lawns of the Botanical Gardens to cheering on the Canberra Capitals to learning more about Aboriginal culture at the National Portrait Gallery, here are six things to do around the nation’s capital this weekend. Head to the National Film and Sound Archive to witness a short season of Australian cinematic antiheroes and villains, featuring two classic Heath Ledger roles. On Friday, watch the Australian gritty crime drama film Animal Kingdom, starring top Australian talent including Guy Pearce, Ben Mendelsohn and Jacki Weaver. On Saturday afternoon, see the thrilling Two Hands – which was the breakthrough Australian film for both Ledger and co-star Rose Byrne – with the following day screening of the Australian classic Candy. Book your tickets here. The annual Street Machine Summernats is Australia’s biggest horsepower party in the Southern Hemisphere. Summernats serves up Australia’s most epic auto action. 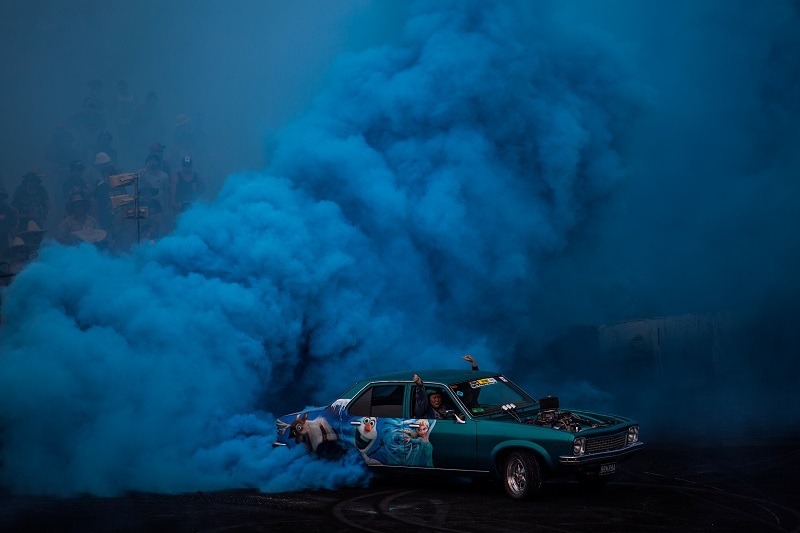 Featuring the world’s greatest burnout competition; the National Burnout Masters, the colourful City Cruise, the craziest cars in the country and so much more, plus a huge music line up including Wolfmother, Thundamentals and 28 Days. With so much entertainment, Summernats is a motoring lifestyle festival that you need to experience, so make sure you join more than 100,000 fans for an iconic Australian motoring experience like no other. Gather your friends and family, sit back, relax and watch blockbuster films under the stars at the Australian National Botanic Gardens. See the new family comedy Instant Family before anyone else, with an advanced screening at the Sunset Cinema this Saturday night. Starring Mark Wahlberg and Rose Byrne, this movie is for the whole family. On Sunday evening, watch the latest instalment about the life of Adonis Creed in Creed II, starring Michael B. Jordan and Sylvester Stallone. The eight-year drought is over. The University of Canberra Capitals are back in the WNBL finals with four games in hand. The Caps are desperate to continue their five-game win streak, and will need to win to remain at the top of the table. Their first game of 2019 is back at their championship-winning venue, AIS Arena against Bendigo Spirit, led by former UC Capitals seven-time championship winner Nat Hurst. The Spirit can’t afford to drop any more games if they are going to make a run to the finals, so it is bound to be a ripping contest. Tickets available here. How much do you know about Australia’s Indigenous culture? Canberrans will be given a chance to look at Australia’s past, present and future by watching dance group Wiradjuri Echoes share Aboriginal culture through storytelling, music and dance. Children are invited to join the performers and dance along to the moving sounds of the didgeridoo. Wondering how to gently start back in to the year? The House of Bubbles van is back on the corner of Wentworth Avenue and Eastlake Parade, Kingston in Bowen Park with a range of Champagnes, great local sparkling options and prosecco. Enjoy a refreshing beer, cider or soft drink along with snacks with your family and friends, with stunning views of the lake to compliment your evening.